A jumbo certificate of deposit can offer many different benefits. This type of investment is a very popular choice for money that is not needed immediately but that cannot be placed with riskier investment options because the money will be needed at some point in the future. This type of CD will require a large deposit which is not possible for everyone, but if you have the funds available these investments may be ideal because of the higher yield and many other advantages. A jumbo CD will typically require a deposit of at least $100,000 and can have a term that spans from 1 year to 10 years or more. If the money is withdrawn before the end of the CD term there are substantial penalties and the length of the CD will be related to the yield offered. A 10 year CD term will generally pay a higher yield than a 5 year CD term. The higher yield is one of the biggest benefits of a jumbo certificate of deposit but there are also many other advantages with this investment choice as well. This type of investment is considered extremely safe as long as a recognized and quality financial institution is chosen. There is no risk of capital loss and also no volatility that investing in the markets will involve. The funds are available when needed, and you do not have to wait to find a buyer like you would with stock and bond investments. As long as the original deposit is left in place the account will continue to earn a higher rate of interest which compounds over time. These CDs have a very low risk associated with the investment so you are assured your initial deposit is available no matter what happens. Jumbo certificate of deposit investments are a much safer option than the stock market because the interest can fluctuate but the initial capital is secure. These investments also offer a higher rate of return than other options like money market accounts and traditional savings accounts. These products are designed for long term investing lasting for years so once you deposit the funds you do not have to do anything until the CD matures. A jumbo CD can be rolled over on maturity an unlimited number of times and this process is simply and easy to do. 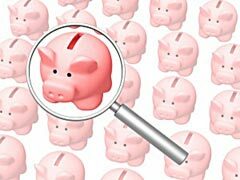 While a jumbo certificate of deposit offers many benefits these investments are not right for everyone. You must deposit a large amount and many investors do not have this type of capital available. You must also commit this capital for a specific length of time and if you will need the funds within a shorter period you could end up being hit with substantial early withdrawal penalties that negate any returns you receive. Each financial institution will offer a specific rate as well as specific terms and requirements, and some of these rates and terms may be better than others. Evaluate all of your options and then choose the jumbo CD that gives you the most benefits with the fewest risks.